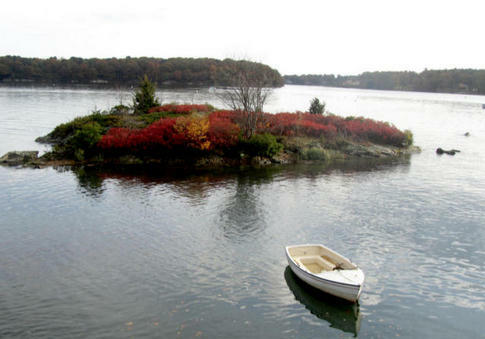 One of the many great things about living in the Portsmouth NH and New Hampshire Seacoast is the area’s natural beauty all around. Being on the coast there’s naturally the ocean but there are also many other areas and sights to see worthy of note………..or a photograph or two. Here’s today’s offerings. 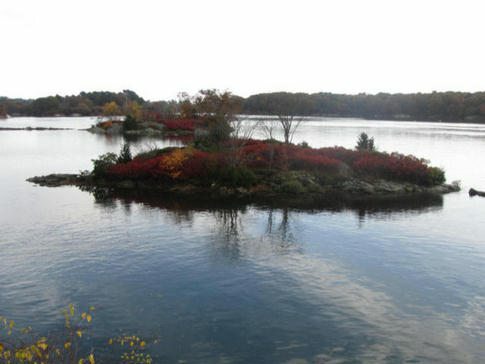 These beautiful little islands off the New Castle Island Causeway are showing some fall colors. It appears in this photo that someone may be missing their dingy. I saw it floating near the bridge on the New Castle Causeway. Lobster traps stacked high on a deck near Portsmouth NH. Lobstering is one of the most important fisheries in New Hampshire waters. 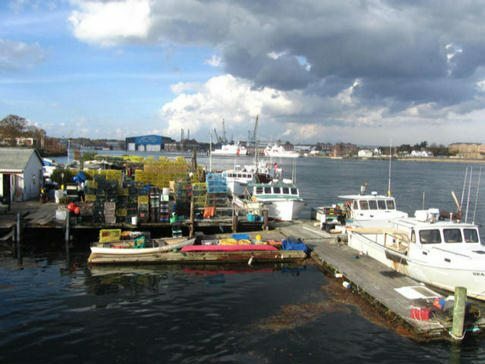 Lobstering is one of New Hampshire’s most important fishing industry and Portsmouth NH a large population. And on the other side of the island, the Wentworth By The Sea Hotel and Spa is all decked out in fall harvest theme. 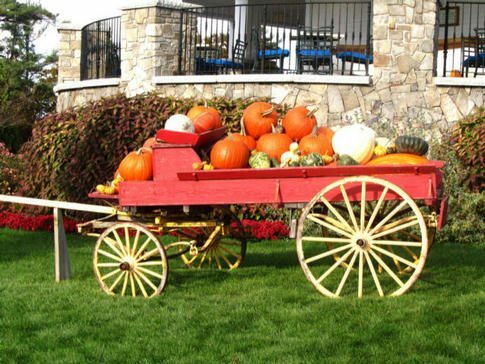 This wagon load of pumpkins and gourds makes an appealing display. Another beautiful fall harvest display at Wentworth By The Sea Hotel. 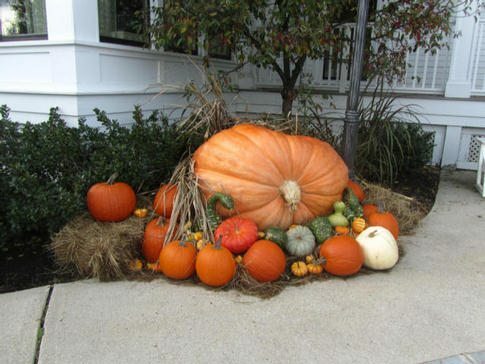 The big pumpkin in the center was enormous and had to weight at lest 500 pounds. 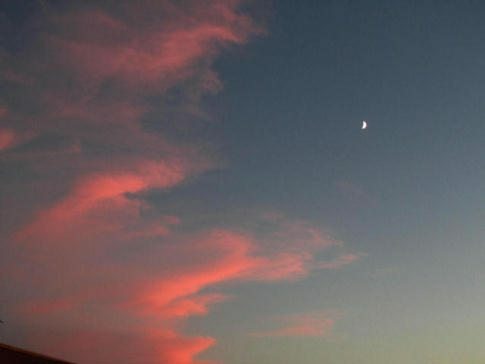 And as the day drew to a close the sun lit up some wispy clouds with beautiful pink colors with the moon shining nearby. Beautiful pink clouds lit by the setting sun. The moon is also visible in the upper right. 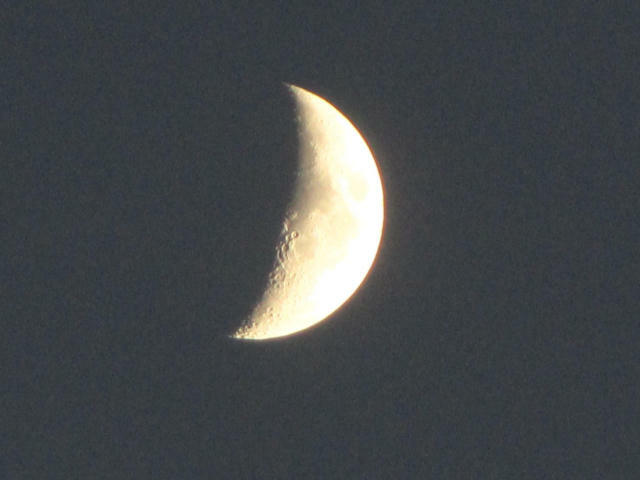 And a close up of the moon shining down on us. We hope you enjoy our New Hampshire Seacoast photos; they’re our way of sharing our beautiful Portsmouth NH home and the New Hampshire Seacoast. If you have any Seacoast or southern Maine questions, real estate related or not, please feel free to ask. Visit New Hampshire Maine Real Estate to see all our beautiful homes for sale and of course if you would like to buy or sell one my partner Ann Cummings and I would be delighted to work with you.